Niger State governor, Alhaji Abubakar Sani Bello has solicited for the support of the National Assembly in actualising some of the projects and programmes proposals of his administration. He made the appeal while hosting the House of Representatives Committee on Tertiary Education led by its Chairman, Hon. Aminu Suleiman, in Government House, Minna. The governor told his visitors who were on oversight function visit to education tertiary institutions in the state that his administration has some far reaching people oriented projects and programmes that will require the support of the National Assembly. “For us in Niger State, we have a lot of developmental and people oriented projects and programmes that will require the support of our legislators at the national level. “I am through this visit informing our lawmakers at the National Assembly that you will see more of me, as we have a lot to do for our people that will require National Assembly legislative support,” the governor stated. 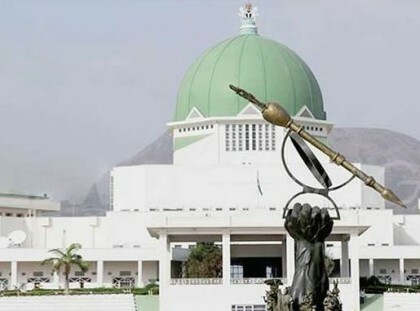 He however said that he intend to drive the collaborative efforts with the national legislative chambers through members of the state in the assembly. Gov. Sani Bello then called on the committee to assist state owned tertiary institutions secure more Tertiary Education Task Fund (TETFUND) intervention for infrastructural development of our institutions. He noted that has continue to education attracts priority attention of his administration, hence the massive renovation of Secondary schools under the “whole-School” renovation approach to fix the infrastructural decay in public schools. Earlier Chairman House Committee on Tertirary Education, Hon. Suleiman told the governor of the readiness of his committee to support higher institution of learning in the state. “Our committee is ever ready to assist state owned tertiary institutions but it will require such institution to intimate us of their challenges,” the chairman assured.